Last week, Akbar Al Baker, the chief executive of Qatar Airways appeared at a committee hearing of the European Parliament, becoming the first foreign airline chief to personally address the Committee on Transport and Tourism. At the time, Qatar Airways was keen to frame the narrative of the event around a Saudi-led blockade on the tiny Gulf State. Baker spoke eloquently about the blockade and the effect it has had on both his country and his airline. During the passionate speech, Baker referred to the blockade as an “act of war” and spoke of the government-owned airline becoming a “strategic pillar” for the survival of Qatar. Qatar Airways even posted a video of the speech on its social media platforms as Baker attempts to sway public opinion and win over the international community. But what the airline failed to mention was that European lawmakers weren’t just interested in hearing about Baker’s opinions on the “illegal” blockade. Members of the European Parliament used this unique opportunity to grill Baker on working conditions at the airline – specifically working conditions for cabin crew. And it was at this point that Baker didn’t seem quite so eloquent or confident. Not that you would know that from what Qatar Airways said in its official press release of the event. Luckily, the EU Parliament likes to be as transparent as possible – so it records all committee hearings and then makes them available for the public to view. And we’ve now been able to obtain a copy of the moment Baker addresses the committee on workers rights at the airline. Why has Qatar Airways been criticised in the past? Unfortunately, Qatar Airways is probably one of the most secretive airlines in the world and getting information from serving staffers is next to impossible. Whether that be because of fear or loyalty to their employer. As a result, we’ve often had to rely on rumours or third-hand information. Take, for example, a recent incident in which a member of Qatar Airways cabin crew was seriously injured. News of the incident was initially shared on a private Facebook group for Qatar Airways cabin crew but was quickly removed on the request of the company. Rumours suggest the crew member had attempted to take their own life but the Qatari authorities have refused to comment on the incident. Then there was the unexplained death of another member of cabin crew in company accommodation in December 2017. The tragic case has resulted in family members of the deceased crew arguing over exactly what happened. What do ex-cabin crew say about their time at Qatar Airways? Luckily, we’ve been able to speak with several ex-Qatar Airways flight attendants. They described being recruited with a promise of a ‘fast track’ promotion contract – only to then find that no such fast-track system existed. They confirmed the rumours of a company-wide curfew and said cabin crew weren’t allowed to leave their accommodation on a ‘rest day’ which falls before an ultra long-haul flight. Qatar Airways says it has these rules to ensure crew members are well rested before operating a flight although it is an incredibly unusual policy. One of the crew members we spoke to decided to leave the company because she claimed the airline would not permit her to have a relationship. The International Transport Workers’ Federation, which represents around 670 unions in over 140 countries, has long campaigned for greater rights for cabin crew at Qatar Airways. The ITF exposed a policy in which female crew members faced being dismissed if they became pregnant within the first five years of employment. 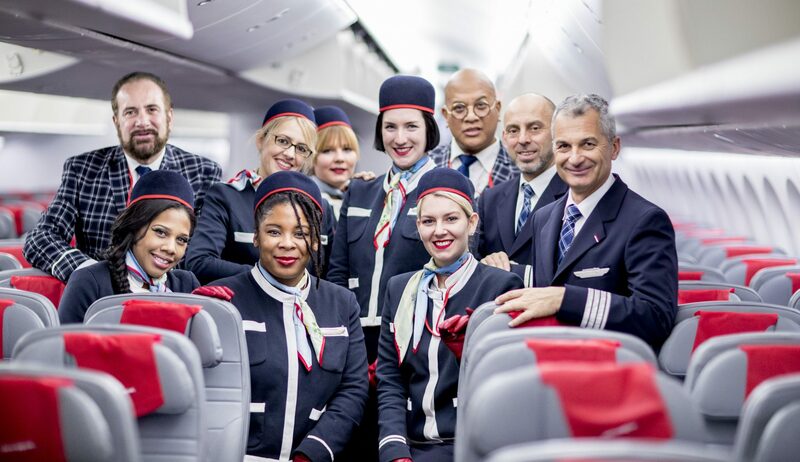 Crew members, both male and female, were also expected to ask for permission to get married – with the decision being made by Akbar Al Baker himself. Some crew members who asked for permission to marry said their request was denied and then their contracts were terminated without explanation. She also claimed that cabin crew could face dismissal for what would appear to be minor indiscretions like using your mobile phone whilst in uniform, not wearing your uniform hat (even when on a crew bus) or for receiving a complaint from a passenger. Cabin crew members should also expect a hefty bill if they try to leave within their initial 2-year contract. Only recently did Qatar Airways allow crew members to post photos of themselves in uniform or to identify themselves as crew on social media platforms. While that ban has now been lifted, company representatives actively monitor social media posts to ensure they comply with strict rules. As a result, many cabin crew at the airline still choose to refrain from being too active on social media. There has also been a lot of criticism over the ‘Kafala’ employment system for migrant workers, whereby employees have to get permission from their employer in order to leave the country. Qatar changed the system last year to make it fairer but significant concern still remains. Generally speaking, ex-pat workers still need to obtain permission before leaving the country for a holiday or other travel. Workers should be allowed to leave if they resign from their jobs although that has now been tightened as a result of the blockade – employees in some critical services have seen their requests rejected. “Women have rights, I have already stated how much percentage of my employees are women. They have equal rights as men and under the constitution of Qatar and under the laws of the State of Qatar, women have equal rights – more than any of our neighbouring countries and this is already known to the international community and the media,” Baker told the committee. It would be absolutely unfair to say that every member of cabin crew at Qatar Airways has a bad experience. We’ve spoken to several ex-cabin crew who really enjoyed their time with the airline and didn’t experience any of the issues mentioned above. To a certain extent, that may very much depend on what stage in life you are when you join Qatar Airways. Things have certainly improved in the last few years although critics point out that more needs to done to bring the airline up to international standards.